The bounce rate (BR) or the percentage of people who entered a website and immediately left, is a popular metric companies use to determine the quality of a webpage. So, a BR is not exactly a percentage of people who visited a website and immediately left, but actually a percentage of people who visited a website but then performed no other trackable actions. Technically, according to these guidelines, a person could read a 10-thousand-word article on a company’s website and share it with five hundred of their closest friends without actually performing a trackable action. A common misconception in regards to BR is often the way it is calculated. If a company does not take into consideration the example above, then the bounce rate will appear to be too high. Once a bounce rate is properly calculated, it’s time to get down to business. User experience should be the first factor a company looks at in the hopes of reducing their BR. People that browse websites are looking for a seamless passage through the site. If a company’s website is confusing, difficult to navigate or causes confusion, people will tend to look for another site they can get around more easily. As the old saying goes, “keep it simple, stupid.” Another easy way to enhance user experience is to ensure the content is relevant and engaging. This can be done by creating videos, images, blog articles, and more. 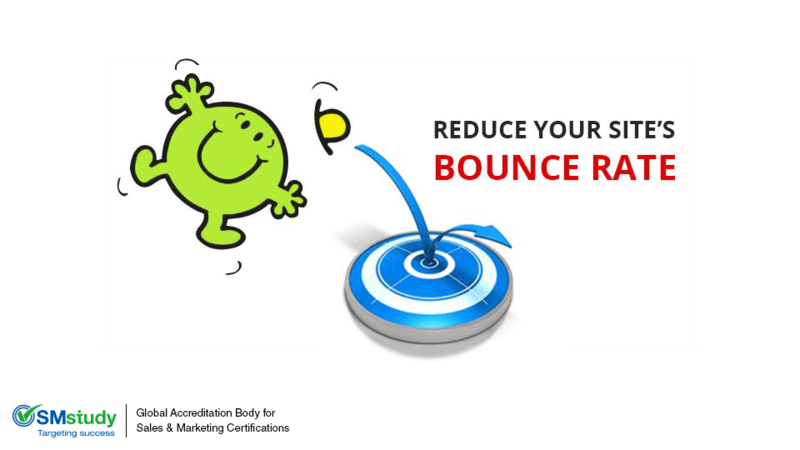 For more information about bounce rate and how to lower your company’s percentage visit www. SMstudy.com where you can be sure you will be able to take a seamless journey through our website.